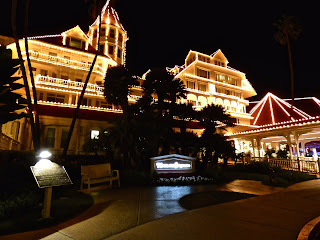 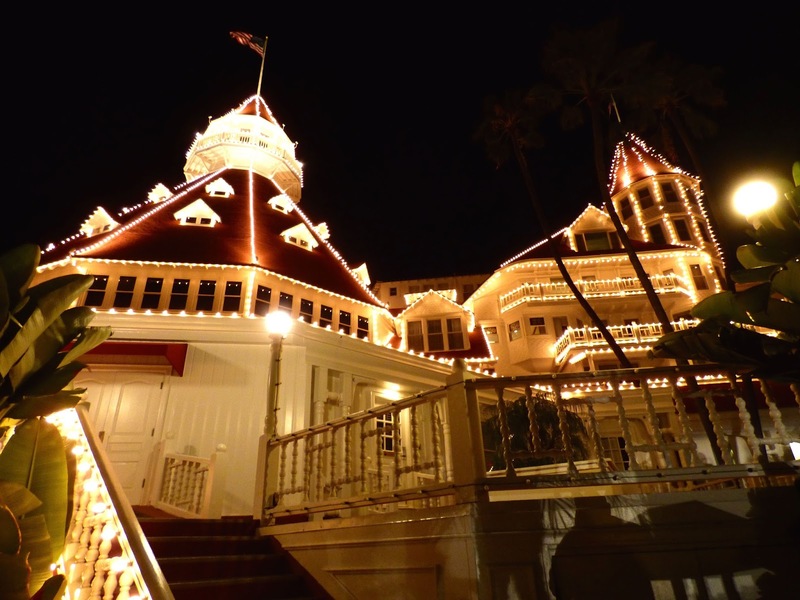 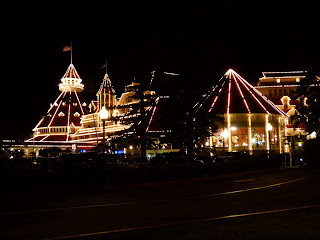 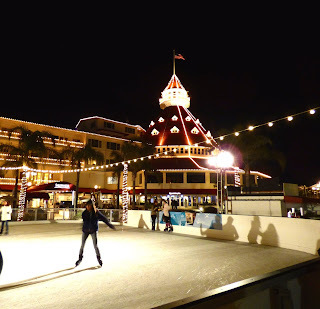 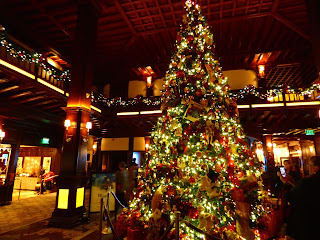 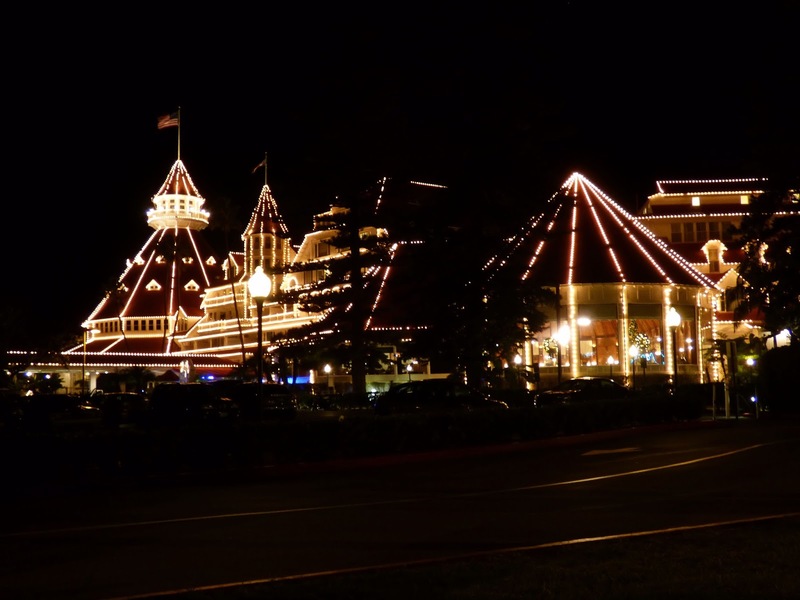 The Del Coronado Hotel, especially during Christmas, has to be the number 1 attraction on Coronado. 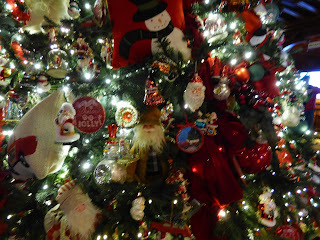 The Christmas decorations are beautiful..especially the tree, which I am told is decorated in 1 day with a different theme each year. This year's theme is "Making Seasides Bright". In February some of the ornaments are auctioned for charity. 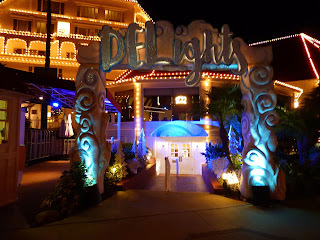 Proceeds from Holidays at the Del benefit the Make-A-Wish Foundation of San Diego. 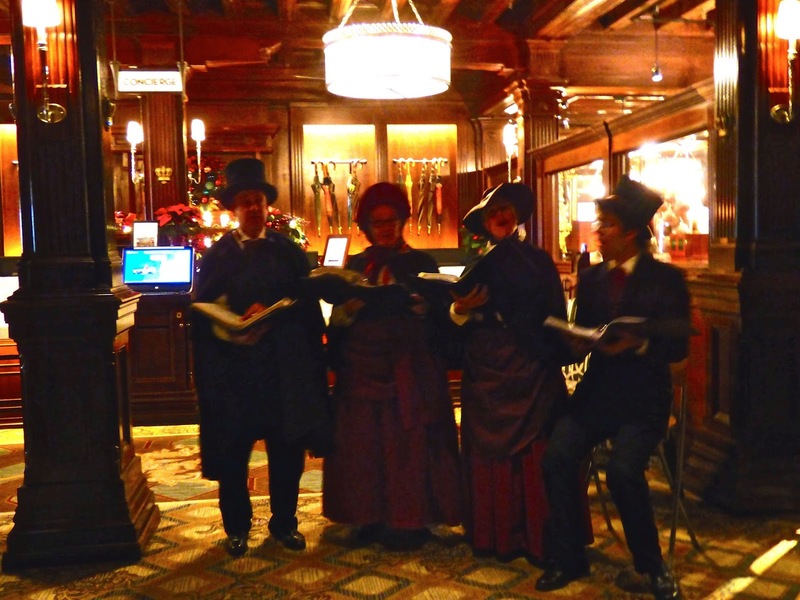 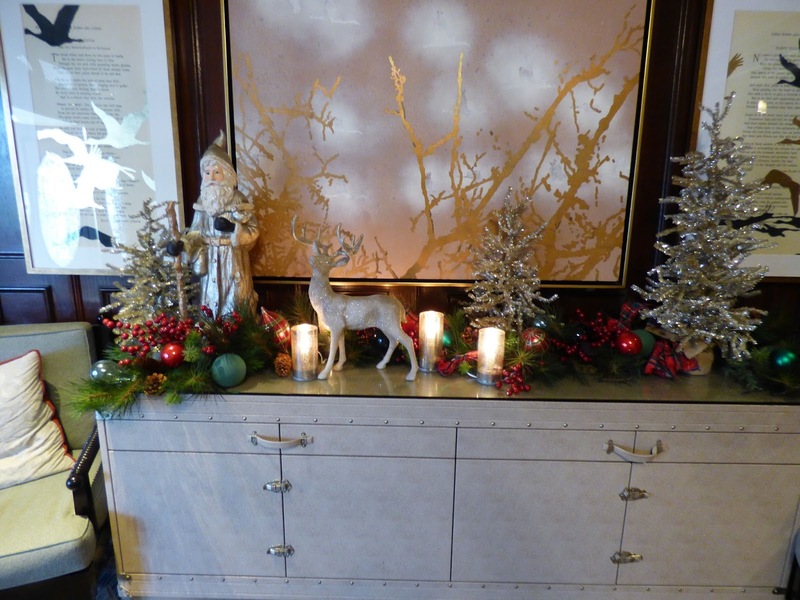 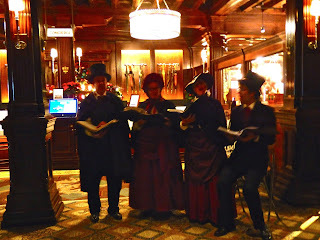 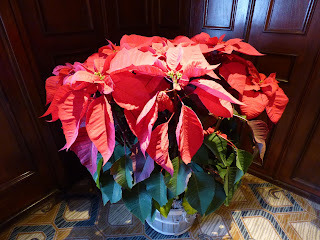 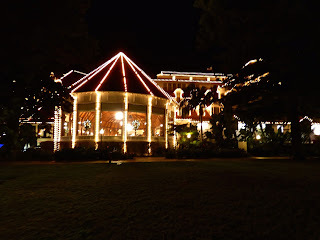 The hotel has been celebrating the holidays in grand style since it's opening in 1888. 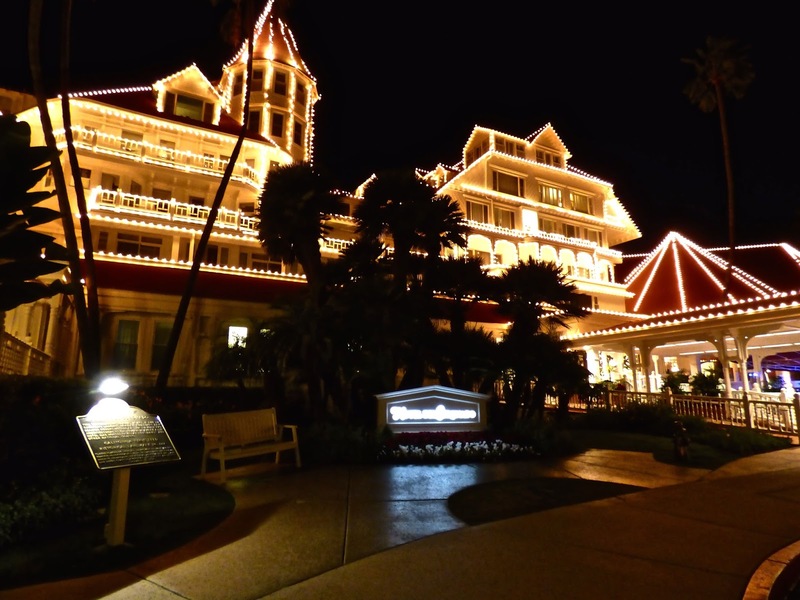 In 1904 they had the first electrically lit outdoor tree. Everything is done in grand style. 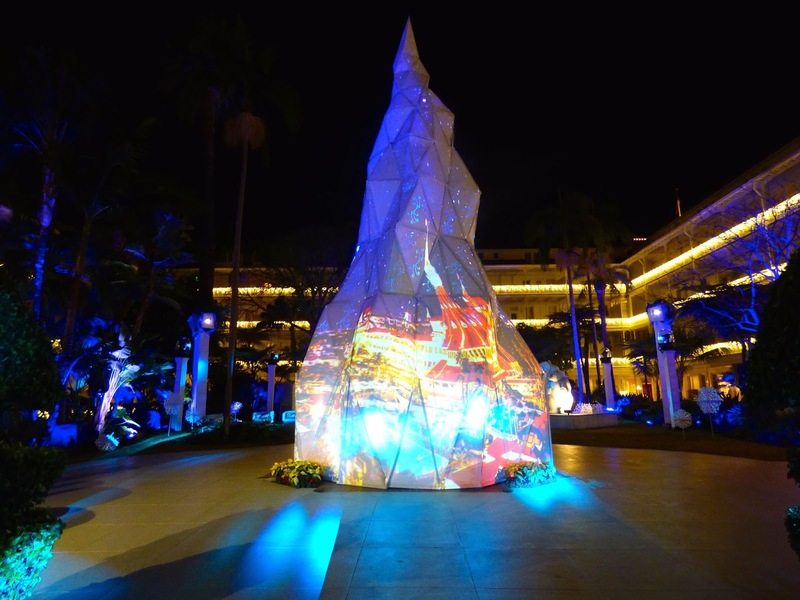 This is the first year to feature the outdoor on the garden patio the light show DElights. 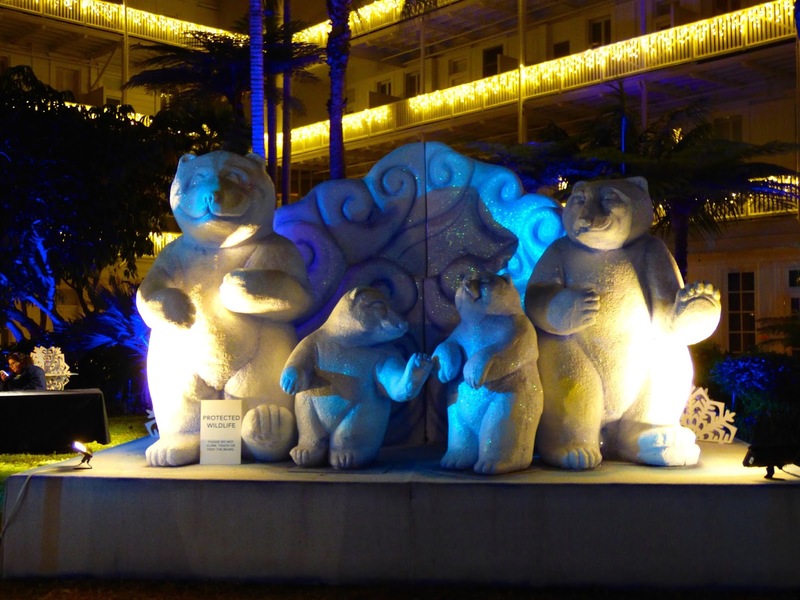 The Garden Patio is transformed into a winter wonderland featuring whimsical polar bears, snowflakes and array of icy colors. 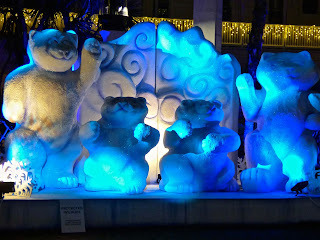 The display of outdoor lights around the hotel are beautiful and my photos don't do it justice. 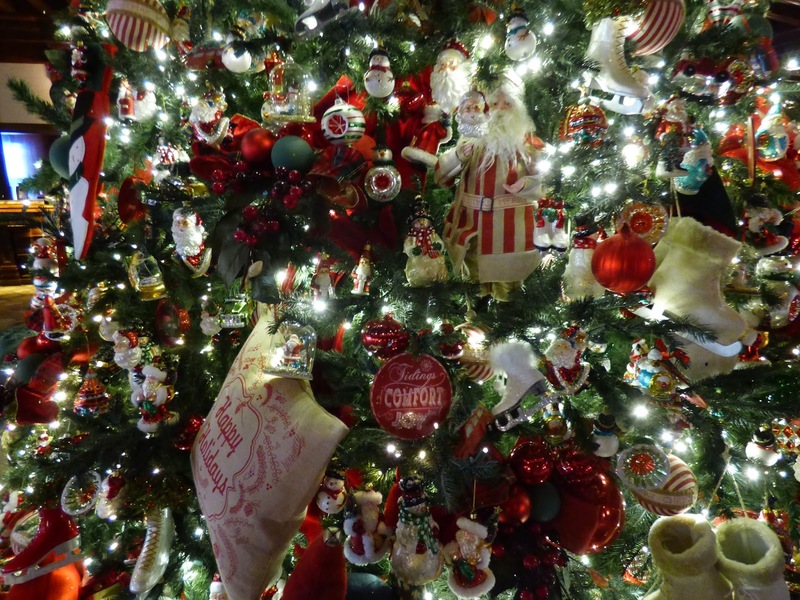 You have to see in person to appreciate the full effect. 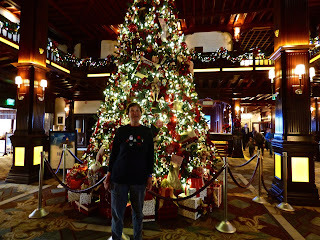 In visiting the hotel take in the promenade of shops and restaurants. 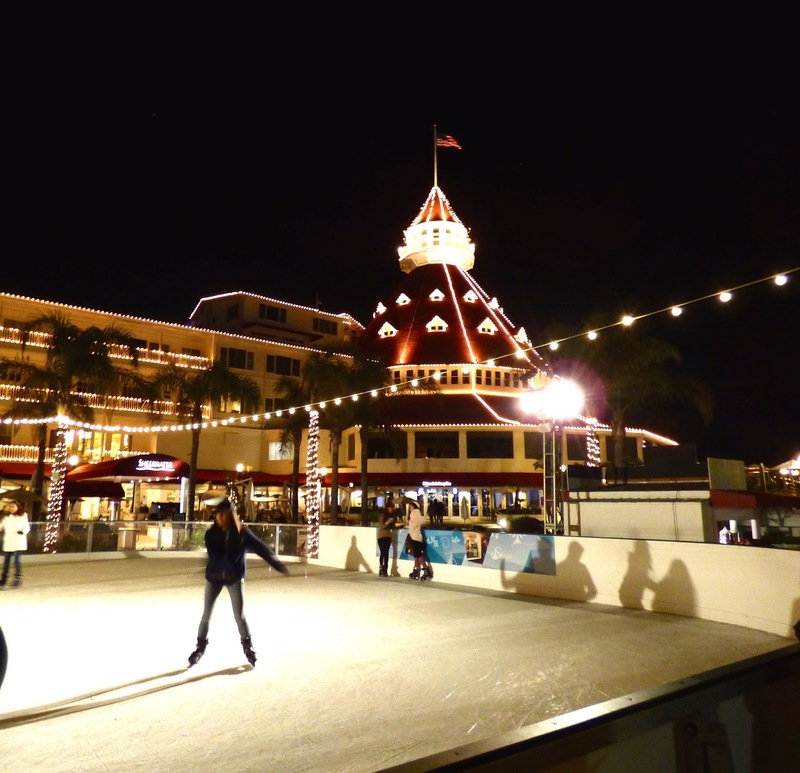 An experience to remember. 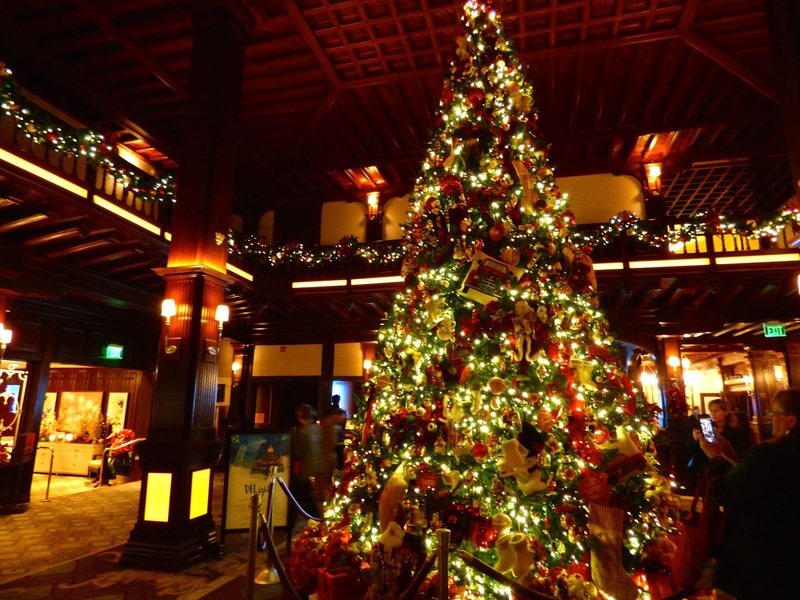 What a great place to get you in the Christmas mood!